As most of us know, the English language is rich in vocabulary allowing us many different ways to express the same idea. 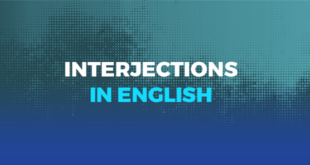 In today’s post we are going to look at other ways in which we can say “goodbye” in English so that we can then incorporate them into our own daily English ensuring that the quality of our level continues to increase. This expression is rather formal and is used with people who you are not very close to like work colleagues or perhaps your dentist or someone in a supermarket. Thank you very much for helping me find the product I was looking for. Have a good day. You too. Have a good day. Here we have an example which is more common among friends but which can be said to anyone as it is just a casual way of saying “goodbye”. Should I come round to your house at 7pm? Yea, definitely! Come at that time. Cool, I’ll see you later. Farewell is a way to express that you are leaving, however it must be remembered that this word is rather formal and somewhat old-fashioned. It would be acceptable to use this with older people but it would not be very common among friends. Thanks for the tea, gran. It was yummy! Farewell and until next time. You’re welcome son. Farewell and safe journey. Using take care when saying “goodbye” to someone implies that you have no current plans to see the person for at least a few days. It is also important to stress that this can be used with more or less everyone. Our first slang example of the blog post is very common throughout all of the English speaking world. Very common among friends and loved ones who are close, this isn’t a way to say “goodbye” that would be used with your boss or in an interview. Yeah 5 O’clock is perfect for me. Due to the rise of hip hop music in America in the last 25 years or so, saying peace has certainly gained traction even further than American shores. We should all bear in mind that this casual way of saying “goodbye” is common in America but not necessarily further afield. No problem man. Any time at all. Similar to the previously mentioned “have a good day”, this example can also mean that or just in general that you hope that things go well for the other person until the next time that you see them. It was great seeing you! I had fun! See you again on Saturday. Have a good one! When we use this example to mean “goodbye” it is very colloquial and is more commonly used among friends. This would never be said to a grandparent or anyone like a teacher or a doctor. The skating park was really cool David but I need to head home for dinner. Yeah me too, Daniel. Do you want to come back later after dinner then? Yeah that sounds like a good plan! In a while. Out of all of the examples listed, this one, although not common, implies that you are not going to see someone for a long time. It would be used if someone is perhaps going away for a few months to university to study. Paul I hope you have a great time at university. Look after yourself. So long. 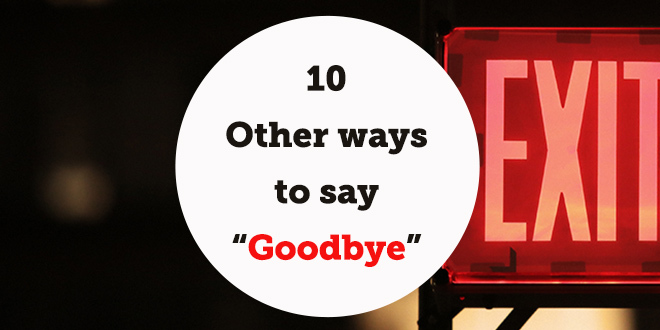 The list wouldn’t be complete without the most common way in English to say “goodbye”. Everyone in English will most likely say bye bye at least once a day to someone. The good thing about bye bye is that it is not overly formal but can be used with anyone and in any circumstance making it a vital one to remember. Thanks for stopping by to visit. I really enjoyed it. No problem at all Aunt Marie. I will see you on Tuesday. Bye bye. 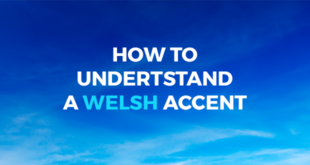 It would be a bit too much to suggest to learn them all straight away however if we even start with 2 per week then we will have them all mastered and incorporated into our level of English in no time at all. Try it for yourself and you will definitely see your level of English develop in a fast and efficient way. 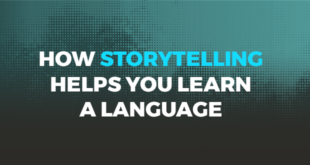 Do you want to learn more great vocabulary?